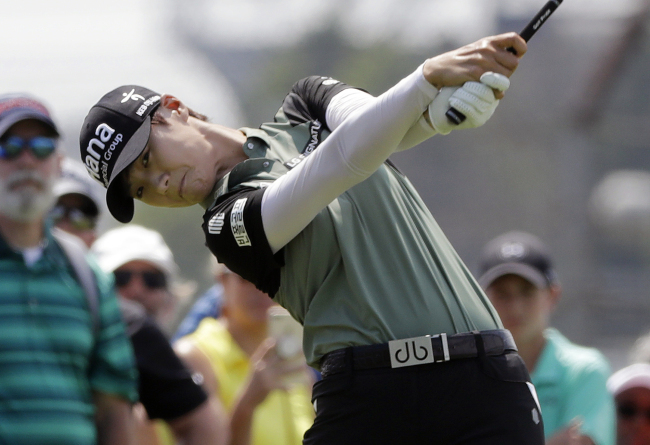 South Korean golfer Park Sung-hyun will retake the No. 1 ranking after capturing her third LPGA title of the season in a playoff. Park rallied from a two-shot final round deficit against Lizette Salas and beat her on the first playoff hole at the Indy Women Tech Championship at Brickyard Crossing Golf Club in Indianapolis, Indiana, on Sunday (local time). Park is projected to return to the No. 1 spot in the women's rankings this week. She spent one week at the top in November last year, a historic season in which she won both the Rookie of the Year and the money title and shared the Player of the Year award with fellow South Korean Ryu So-yeon. Park joins the current No. 1, Ariya Jutanugarn, as the only three-time winners in the LPGA this year. The South Korean has had a roller-coaster season. She recorded just one top-10 in her first seven starts while missing two cuts, and then broke through with a win in May. 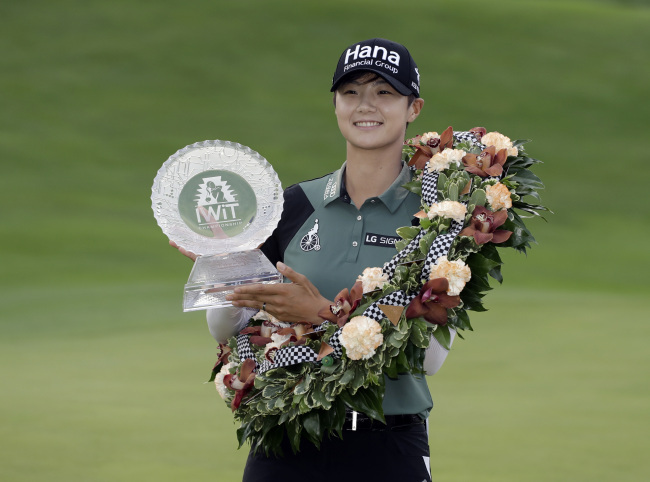 Then she proceeded to miss her next three cuts in a row, and two events later, Park won her second career major at the KPMG Women's PGA Championship. Park and Salas ended regulation at 23-under 265, though they took vastly different routes to get there. Salas was still leading Park by one standing on the 17th tee, with Park having already completed her bogey-free round of four-under 68. Salas found the rough off the tee at the 17th and went on to bogey the hole. Then at the 18th, Salas missed a relatively short birdie putt that would have clinched the win. Park had missed her own birdie attempt at the 18th in regulation, but in the playoff, she drained a six-foot downhill putt to beat Salas.